Within the last seven years, Sri Lanka was presented with two opportunities to structurally reform the political system with the aim of fostering ethnic reconciliation. First, when the war ended in 2009, and second, when the present governing coalition ascended to power in 2015. The end of the war was a major turning point because, with the collapse of the Liberation Tigers of Tamil Eelam (LTTE), one of the major hurdles for the devolution of power and ethnic reconciliation was terminated. The LTTE was overconfident about its military power and was convinced that it could achieve the objective of a separate state for the Tamil people through violence. Hence, despite the participation in several peace negotiations, the LTTE resisted any scheme to devolve power. Unfortunately however, the other half of the problem remained. The Rajapaksa administration focused more on majoritarian consolidation rather than ethnic reconciliation. Therefore, the first opportunity was squandered. The Rajapaksa administration was defeated convincingly in 2015. The coalition headed by Maithripala Sirisena and Ranil Wickremesinghe won the elections on slogans of good governance and reconciliation. The coalition had the tacit support of the main Tamil party, the Tamil National Alliance (TNA). Hence, the new government initiated a process to reform the constitution with the partial goal of accommodating the minority communities, especially the Tamils of the North-East provinces. The Sri Lankan parliament has been converted into a constitutional assembly and the committee appointed to gather public opinion on constitutional reform has already presented its report to the government. Therefore, clearly, there has been an attempt to take advantage of the second opportunity presented for the reunification of ethnic communities and reconciliation. Dr. Laksiri Fernando’s new book entitled Issues of New Constitution Making in Sri Lanka, Towards Ethnic Reconciliation (Charleston, South Carolina: Createspace, 2016; Local Distributor: Lake House Bookshop) has been recently published to bolster the ongoing process to reform the constitution. The book, obviously, is a timely publication for two reasons: first, constitution making in Sri Lanka typically is a complicated and cumbersome task. It needs support from a wide range of actors. Intellectuals in Sri Lanka seem proactive, as a fairly vibrant discourse has been taking place on this issue. Laksiri Fernando’s ideas would serve as a boost to the ongoing debate. Second, compared to the proponents of the devolution of power and accommodative policies, critics seem to have a louder voice. Fernando makes a strong case for a new constitution, which could promote ethnic reconciliation. Sri Lanka needs more moderate voices. The book is a rich source of information and analysis on the evolution of constitutional governance in Sri Lanka, post-colonial politics and issues associated with the current constitution making process. It has been divided into three broad sections. Part One, deals with general concerns on constitutional issues, Part Two mainly contains the constitutional proposals Laksiri Fernando has presented to the Public Representation Committee (PRC), and Part Three, examines the current constitution making process. The book analytically delves into such critical issues as the 13th Amendment to the Constitution, the rationale for a new constitution, state of human rights, democracy, local government institutions, electoral reform, and of course, ethnic reconciliation. The themes of devolution of power and reconciliation run throughout the book. According to the government sources, the ongoing constitutional reform process targets three specific areas: (1) the devolution of power, (2) electoral reform, and (3) restructuring the executive presidential system. Yet, devolution of power can be illustrated as the fundamental element of the constitution making process. Laksiri Fernando makes two pertinent points about the devolution of power: (1) power sharing is critical, among other factors, for ethnic reconciliation, and (2) shared responsibility could serve as an alternative to power sharing. In terms of the first point, there has been a school of thought, which believes that the main instrument for reconciliation should be a truth commission or a truth commission style mechanism. Those who represent this school of thought believe that truth will lead to reconciliation. They wittingly or unwittingly underestimate the significance of the devolution of power. I have consistently emphasized the point that without addressing the Tamil political grievances through constitutional means, ethnic reconciliation cannot be achieved in Sri Lanka. It is now abundantly clear that the Tamils will continue to protest if their political problems are not addressed through constitutional means. Therefore, a scheme for power sharing should be given priority. A truth commission style mechanism may serve as a supplementary strategy for ethnic reconciliation. Shared responsibility, however, could be a problematic suggestion. As Laksiri Fernando aptly pointed out, unity governments, coalitions, or united fronts could symbolize shared responsibility. Hence, it is basically a political arrangement. Political arrangements are contingent upon the electoral realities. There are a number of fundamental problems with the concept of shared responsibility as a solution in Sri Lanka. One, it does not guarantee anything for the Tamil people because it is not a structural arrangement. My understanding is that the Tamils have been demanding a structural arrangement to resolve their issues. Hence, they would, most probably, dismiss shared responsibility as ingenious. Two, as Fernando reiterated, “the constitution cannot or should not spell them (shared responsibly) out.” Therefore, this suggestion is marginally relevant to the discourse on constitution making. Three, without a structural arrangement, Tamil political parties will find it impossible to take advantage of schemes of shared responsibility. The best example is the predicament of the TNA. The party could have joined the government in 2015 because electoral reality favored a national government with the TNA as a partner. In fact, in my view, some of the TNA leaders were in favor of joining the government. But, the TNA decided to stay within the opposition ranks and currently serves as the main opposition party. Without a political solution, becoming a part of the government would spell disaster for the TNA in the next general election. However, it is imperative to note that Laksiri Fernando does not oppose the devolution of power. On the contrary, he is in favor of devolution of power and further notes that “devolution should come closer to federalism.” Fernando also notes that Sri Lanka should not go back on this question; rather it should go forward. Many progressive observers of Sri Lankan politics would agree with this assessment. One of the fundamental factors, policy makers in Colombo should understand is that the Tamil’s demand for a federal solution has less to do with the level of power sharing than the fear that what is given by one government within a unitary structure may be taken back by another government. Since parliament is supreme in a unitary state, devolved powers could be withdrawn by a legislation. In a federal system, theoretically, the central government and the federal units are indestructible parts of the state. Hence, one cannot terminate the other. This, the Tamils believe, would ensure the permanency of the Tamil unit and the devolved powers. Hence, a federal or semi-federal structure has the potential to adequately address the Tamil fears. Any debate on constitutional reform in Sri Lanka, unavoidably, has to deal with the 13th Amendment and the provincial council system. Laksiri Fernando’s analysis was no exception. He claimed, “the provincial council system is the most progressive structural change that the democratic system in Sri Lanka has achieved since independence.” The notion that provincial council is the “most progressive” achievement has two interrelated aspects. One, Sri Lankans cannot take credit for the “most progressive structural change” achieved to date. As Laksiri Fernando rightly pointed out, it was the intense pressure from New Delhi, which made the provincial councils a reality. When the 13th Amendment was enacted in 1987, a broad section of the Tamil polity rejected it as “inadequate.” The LTTE obviously denounced the 13th Amendment and the provincial councils. Even the Tamil United Liberation Front (TULF) perceived the change as inadequate, unsatisfactory, and unjust. In the South, President Jeyewardene was not in favor of the scheme. The Janatha Vimukthi Peramuna (JVP) and the Sri Lanka Freedom Party (SLFP) aggressively resisted the move to ratify the Indo-Lanka Accord, which facilitated the 13th Amendment and the provincial councils. A degree of violence was unleashed against the Accord. Therefore, Sri Lankans did not own or support the provincial councils. It is time to institute our own most progressive/significant achievement in this regard. Two, the idea that provincial councils are the most progressive structural change achieved has the capacity to upset two specific groups: (1) a small section of Sinhala nationalists who still oppose the provincial councils, and (2) the Northern Tamils, which include those who still believe in a separate state and those who strive for reasonable devolution of power. In terms of the Sinhala resistance, the anti-provincial council movement has evaporated to a large extent. Many have evolved to accept that the provincial councils are the reality and they could serve as a “maximum” form of devolution. Many Tamils, on the other hand, view provincial councils as inadequate. The main problem with the provincial councils is that they were established within the unitary structure of the state. In fact, the Supreme Court approved the constitutional amendment only due to the fact that it did not deviate from the unitary disposition of the constitution. The Supreme Court declared, “Provincial Councils do not exercise sovereign legislative power and are only subsidiary bodies, exercising limited legislative power, subordinate to that of Parliament.” Therefore, the provincial council system perpetuates the Tamil fear that the devolution achieved through the 13th Amendment may not be permanent. For example, the Governor could dissolve the council with or without the advice of the Chief Minister. Hence, sustainability of the councils depends extensively on the goodwill of Colombo. Powers devolved under the 13th Amendment were insufficient as the central government maintains a strict control over important subjects of power sharing. One example is the Concurrent List. As Fernando points out, “the central government could easily encroach into the matters of the Provincial Councils” through the concurrent list. Hence, Tamils would hardly accept that provincial councils are progressive structures. Therefore, Laksiri Fernando’s analysis entails progressive as well as provocative assumptions. Nevertheless, he delves into many important subjects of constitution making in Sri Lanka. The book could serve as a useful point of reference for those who are interested in constitutional reform and ethnic reconciliation in Sri Lanka. I hope and believe that political and civil society actors connected to the ongoing constitution making process would take into account the ideas presented by Laksiri Fernando in this important book. In respect of a political solution, for that matter in order to proceed with a meaningful discussion on the subject, it is imperative that “Tamils” for whom a political solution desired is clearly defined. A clear, unambiguous answer to the following question is important. For sixty long years the Tamil political class is deliberately obfuscating the Sinhalese with various permutations and combinations of the words ‘Tamils’, ‘Tamil speaking people’, ‘Tamil Nation’, ‘Ealam Tamils’, ‘Eazam Tamils’, ‘Traditional Tamils’ etc. etc.. This will help us draw up the demographic distribution pattern of ‘Tamils’ and devise an appropriate devolution model. I hope you will assist me in clarifying this issue. Reality Check: This sort of political analysis is pretty useless! There is NO POLITICAL will to change the CORRUPT POLITICAL CULTURE of greed and MONEY POLITICS that is the ROOT cause of the so-called ethnic conflict in Sri Lanka. Politicians have used the strategy of DIVIDE, DISTRACT and RULE the masses with Racism and attacks on minorities, to distract people from their corruption. As long as the very same MONEY POLITICS, corrupt political culture and political Parties with their venal leaders, Ranil, MR and Sira are in power even the most perfect constitution would be useless. First corruption needs to be rooted out and the ignorant and venal politicians EDUCATED to stop being racist and divide and rule to win votes. Given the levels of corruption and cynicism that characterize Politicians behavior, particularly in the main parties – UNP and SLFP – the current bribing of the Parliament by Ranil to forget his bond scam that was in the first place to bribe the corrupt politician the whole Constitution exercise will fail. Indeed this new Constitution process is merely for international consumption and locally just another distraction to cover up the corruption that is rife at the Diyawenna Parliament of Morons! Sri Lankan political scientists like these are part of the problem, and not a solution to the never ending political ROT and crisis in Sri Lanka. They are putting cart before horse, legal frameworks before hard work of educating, prosecuting, and ending the culture of immunity and immunity for Financial Crimes, war crimes, and looting of the people of Sri Lanka of all communities! Sri Lanka fist needs a culture of ACCOUNTABILITY, then a new Constitution can work. Colombian President making a speech while accepting Nobel peace prize in Oslo said that he took the peace accord between Srilanka government and LTTE as a model to arrive at a peace accord between Colombia government and the rebels. This is a knock out blow to Sinhala racists who are obstructing. 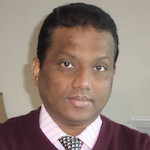 In 2002 during peace talks between Srilanka government and LTTE an accord was reached between Anton Balasingham the chief negotiator for LTTE and Prof. Peries the chief negotiator for government of Srilanka, “To explore a possible solution based on internal self determination of Tamils on a federal basis to lands of historic habitation of Tamil speaking people”. Since a Nobel laureate has deemed fit to emulate this agreement, it becomes relevant to the present negotiations between elected representatives of Tamils and the government of Srilanka. The present suggestions of parliamentary committees on matters of importance goes nowhere near this concept. Peace can be achieved with justice as demonstrated in Columbia. In respect of a political solution, we have to go back to the period before Independence. We should analyse the population distribution and understand wha sort of administrative system functioned during that period. It is not a secret that all the Sinhalese leadership who govern this island undera unitary system accepted that NorthEast Region is the tradional homeland for Tamil speaking people. They didn’t find any difficulty in defining this and Banda-Chelva pact to LTTE-Srilanka Oslo accord it is well defined. If someone thing that their Sinhalese leadership did not understand this, why they signed agreements and put forward proposals based on this definition? Let us be serious. We are here today whatever that was yesterday. Can I go and talk to Bandaranayake or Chelvanayagam to know what they had in their mind? More than 50% of your “Tamil speaking people” in the above statement live outside NorthEasst region and we need to devise an appropriate devolution model that can satisfy at least 95% of them. Banda and Chelva seem to have confined their agreement to only Hindu/Christian Tamils in the north and THAT IS WHY IT DID NOT WORK. Whom are you trying to fool by evading this question? How can we move forward? Vilifying me like 99% of Tamil writers here do wont help either. Once again I appeal to Mr. Keethaponcalan to help me sort out this question. I am serious. It is not about today. It is about tomorrow, The future. Even today, even after forced colonization of Sinhalese in the North East, Tamil speaking people are in majority in the North East. That is a undeniable fact. Yes Tamil speaking people are living outside North East of Srilanka, living in India (Tamil Nadu), European countries, Australia, Canada all over the world. The solution is needed for those North East, homeland for Tamil speaking for more than 1000 years. Sinhalese also live in the North east as a minority, similar to those Tamils live other than North East. For your question, Tamils include all those Tamils scattered across the island as well as those scattered around the world and those who brought by British as well.We are talking about people of North East of this island. We need a model to fit for the North East similar to that of the rest of the island. In otherwords, Two nations, one island. There should be a government to the North East and another government for rest of the island. As it now Sinhala can be official language and Buddhism can be official religion in one side of the island and Tamil can be the official language and Hinduism can be official religion in the North East. Or you can have Sinhala, Tamil, and English as official Languagess and all religions can be offical religions in both governments. This was the basis for all the agreements made by Sinhalese governments and it was practiced successfully before Portugese took control of the island 500 years before. Two equal governments, one for Tamil speaking people and one for Sinhalese speaking people. I do not about other Sinhalese, if you had been following my comments, I always support the division of one area exclusively for Tamils( all Tamil speaking people) and the rest of the island exclusively for the Sinhalese. One small correction, you can have your Sinhala/Buddhists ghetto but the rest will want to live in a multiethnic, multilinguistic, multireligious, … truly democratic state. That is nice. In that case, probably a part of upcountry should be merged with North East. No they will be relocated to your traditional home in North East including those who practise Islam because upcountry is part of the traditional home of the Sinhalese. You are reffering only to the Tamils arrived during the British and avoid taking about Tamils who practise Islam. All of them are ‘Tamil speaking people’ for us. You must forgo your differences in religion, denomination , caste and date of arrival and form one common front. You know Ajith, interestingy NO ONE has answered this simple, unambiguous question so far. You can see even mr Keethaponcalan has remained silent despite my repeated pleadings. You know the reason? If it is only Hindu and Christian Tamils in the North the numbers are insignificant and if it includes those who practise Islam and those arrived during the British they are scattered all across the island such that no Einstein can device a devolution model. Can you go back to BUDDHA and ask him what he had in his mind? Dr Laksiri Fernando, Lal Wijenayake and few others want Sri Lankan major problem resolved and country prosper so the masses profit from the peace dividend. Other countries with similar ethnic or religious problems set up federal governments to devolve power and share it among the different communities. Sri Lanka remains a poor third world banana republic as the politicians, mainly from the majority community, use ethnic problem to win election or defeat governments. JO tries to use the same tactics to gain power so that human rights, law enforcement and judiciary can be marginalised so that familial rule can be enforced to ensure corruption and day robbery. The poor masses can be kept in dark with the media gaged and the journalists murdered. Any SC judge dares to deliver a fair judgement against any minister will be impeached with the help of those MPs who favour bribes, ministerial posts even without portfolios and luxury cars to serve their electorates. There shouldn’t be any privileges, or favors to any one. The law and its implementation should be impartial. There should not be any delay in legal system. There should not be any fear in implementing the law and justice. There should not be any mercy in implementing the justice. recognize the tamil Traditional living areas. For that to happen, impunity, land grab, installation of Buddha statues, government assisted forced majority community settlements in traditional minority community areas must first cease. For that to happen the elements contained in the previous BC pact should be restored and the devolution process progressed for the country to develop as a nation tolerating different languages, cultural traditions and religious believes. This will enable us to solve the problem of +50% Tamils(Tamil speaking people) living in Sinhala areas. This country should never be split……………learn to live with each other. But racists from both sides should be wiped out, especially the hoodlums in Orange garbs and bald heads.